1349 have premiered a new song titled “Dødskamp.” The track was commissioned by Innovation Norway, Visit Norway, and the Munch Museum, who asked four Norwegian artists of different genres to create music inspired by the work of renowned painter Edvard Munch. Goatwhore have been added to 1349’s upcoming dates with Tombs. These shows include a few shows supporting Kreator, and they will lead up to Ozzfest Meets Knotfest. 1349 have announced some U.S. headlining date with Tombs. The band will also be opening for Kreator on select dates as well. 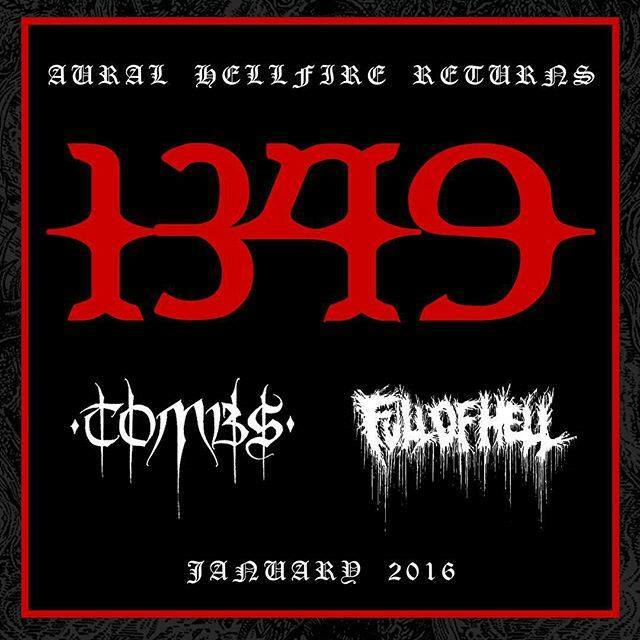 1349 have officially revealed the dates for their North America with Tombs and Full Of Hell in January. You can see those below.